KG Smooth was born and raised in Dayton, OH, the birthplace of funk music. The voice of “The Quiet Storm,” KG is a very multi-talented man. He can sing, dance, write, produce, vocal arrange, host and entertain. KG got his start in radio in the year 2000 in Cincinnati, OH at WIZF, 100.9 The Wiz, now 101.1 The Wiz, where he learned all he could and did the best at everything he did. He then moved on to Cleveland, OH, where he served as afternoon and midday host on heritage station 93.1 WZAK, where he was dubbed “a breath of fresh air” with his smooth delivery. After this time in Cleveland, KG then moved to Columbus, GA to do mid-days on WKZJ, K92.7, where he became a staple in the community. 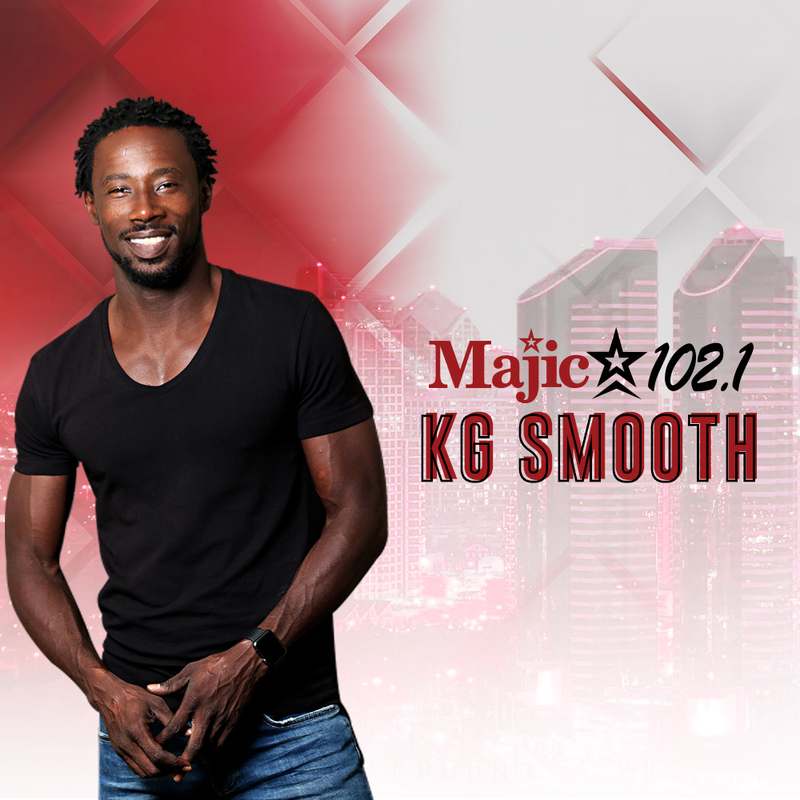 KG is now shaking up the airwaves in Houston! His mellifluous voice, charm, charisma and humility has already been recognized here in the city of Houston. In 2005, a nationally syndicated television show, The Tom Joyner Show, was launched with Joyner as emcee of a one-hour comedy/variety show, combining sketch comedy featuring the Tom Joyner Show Players (his co-hosts from the radio show), talent contests, and musical performances by such artists as Earth, Wind and Fire, Brian McKnight, Kenneth “Babyface” Edmonds and Toni Braxton. The show attracted advertisers such as McDonalds, Chrysler Corporation, WalMart and Southwest Airlines. While the program achieved top ratings for a weekly syndicated program themed to African American viewers –even taking the number one show position although it was in a late night time slot– in such markets as New York and Atlanta, affiliates in other markets were reluctant to upgrade the show to prime time for a targeted audience. Without the opportunity to reach a larger audience in earlier time slots and achieve greater revenues, the show had limited ability to offset the residuals and music clearances required by the many performers appearing on the show. Despite award recognition, in May 2006, Joyner decided not to continue due to production costs related to the music variety show concept. Re-runs are shown on TV One cable channel. 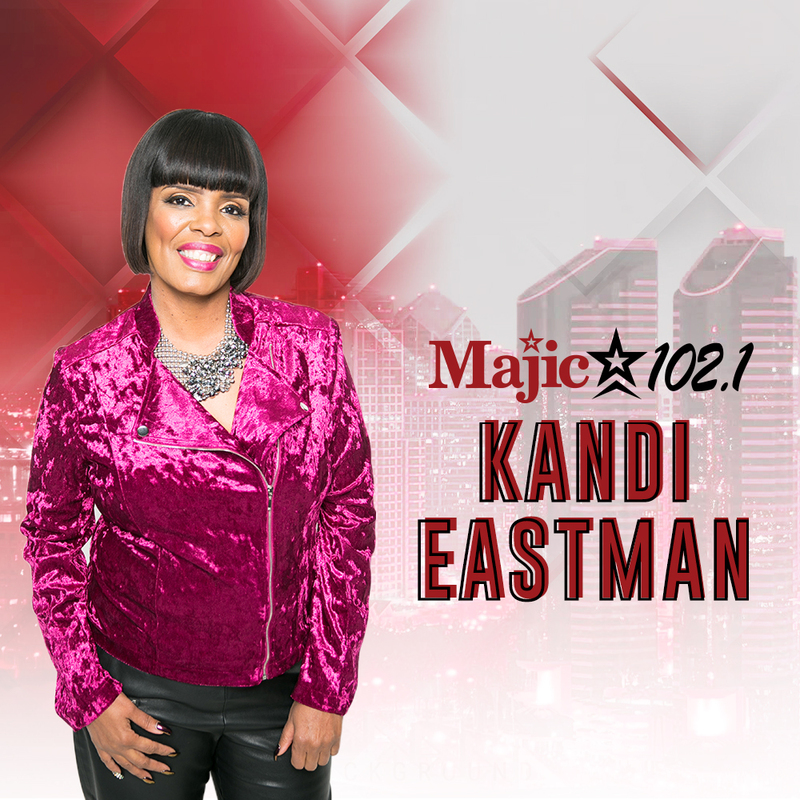 The accomplished award-winning veteran, Kandi Eastman joined the Majic family in 1994 after having renowned success as a station manager and music director at WRBB, Boston’s top-rated college station and on-air positions at Boston’s WILD, Raleigh NC’s WQOK and Norfolk, VA’s WOWI. To date, Kandi has received considerable recognition and has earned numerous honors and awards for her contributions in the radio industry and for her efforts in improving and inspiring the Houston community. She has received such recognition form the likes of the City of Houston’s Mayor, the U.S. Congresswoman Representative of Texas and through features in such magazines as Essence and Today’s Black Woman. Never short of selfless sacrificial giving of her time, talents and community service, Kandi manages to maintain a balance between her career, marriage and motherhood. She attributes her success to a strong faith in God and family. Sending a special shout-out of her own, she acknowledges her loving and supportive husband, Reginald, and the gems of her heart, their three sons, Amir-20 yrs, Tahj- 18 yrs and Jakevius-14yrs. 2009 Live Endorsements include: McDonald’s, Hasbro, Avon, Dannon, Stewart Cadillac, Rx for Brown Skin, TNT’s Hawthorne and HEB. Hosted over one thousand concerts, community and social events. 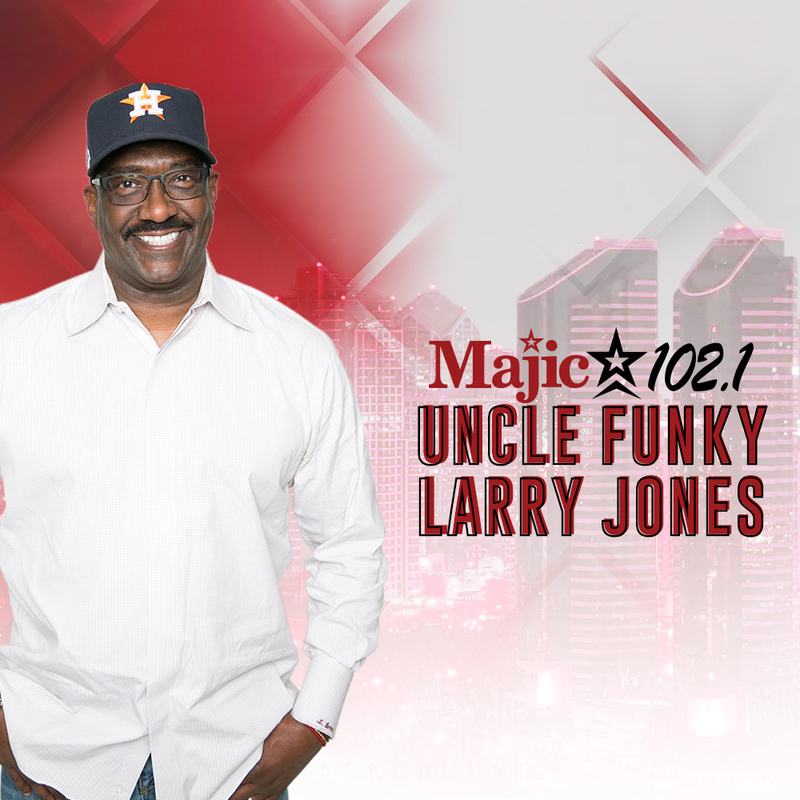 Funky Larry Jones is a 44-year radio legend with 28 years in the Houston market. Larry is currently the Host of the Top-Rated Afternoon Drive Program on KMJQ/MAJIC 102.1 FM. Larry was born in Montgomery, Alabama and got his start in radio by reading three commercials at a local station, then getting the job. He also attended and graduated from Alabama State University. Larry’s voice work includes, Oprah Winfrey’s OWN Network, St. Jude Children Research Hospital, American Kidney Fund, Xfinity, Mattress Firm, Spec’s Spirit and Wines and Nephew Tommy from Steve Harvey Morning Show. His voice is also used in other Radio-One markets including St. Louis, Charlotte, Raleigh, Durham and Columbus. Larry is associated with the Houston Astros, Star of Hope, Lieutenant House, City of Houston, Houston Livestock Show &amp; Rodeo, Sheriffs’ Association of Texas, 100 Black Men, Metropolitan Houston Chapter Inc., March of Dimes, and Disable Veteran of America. Larry has received the Billboard Magazine’s Personality of the Year Award, NAACP Award of Merit, (BPCCA) Living Legend Award, and was nomination for the 2017 Texas Radio Hall of Fame, and many other honors. He has also interviewed notable figures such as President Bill Clinton, Oprah Winfrey, Steve Harvey, Magic Johnson, Michael Jordan, Tyler Perry, Yolanda Adams, Bishop TD Jakes, Charlie Wilson and more. 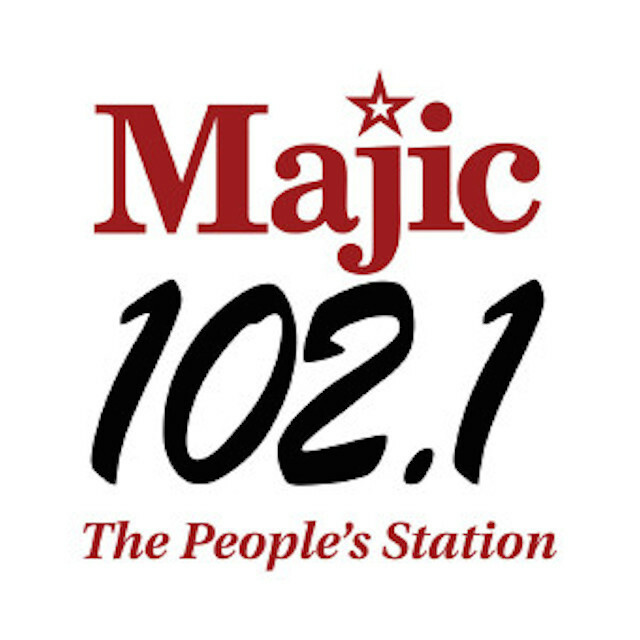 Majic 102.1 welcomes on-air personality SKY HOUSTON back to the airwaves! 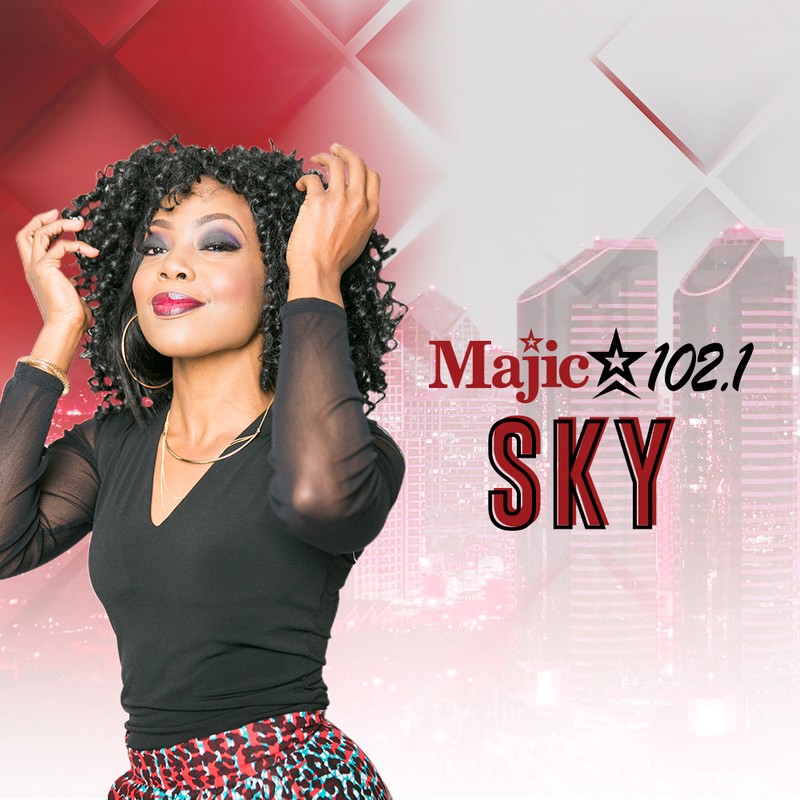 First joining the KMJQ-FM family in 2002, and hosting “Majic after Midnight” in 2005, SKY is no stranger to bringing her sassy energy on-air.